Take some time out of your busy schedule of suspiciously hanging around Melbourne's love lock bridge with a pair of bolt cutters, and embrace some other fun activities for singles. It would appear that the woman in this Bacchiacca painting was very much single. Imagine yourself in place of this novelty cat toy. Image: Cat Cafe Melbourne. Your inner crazy cat person is busting to go to Melbourne's one and only Cat Cafe. Much like humans that you would like to date, cats often play hard-to-get. They are known to ignore you altogether, unless you have something they want, such as food. Sometimes they let you believe you are their favourite, until you walk in on them getting cosy with someone else. 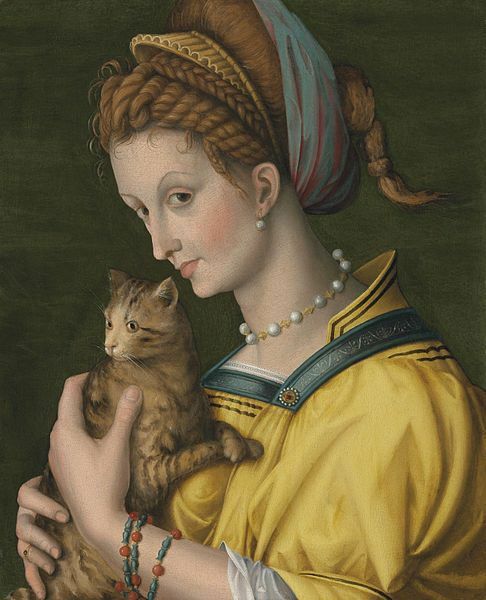 Despite these worrying parallels, cats are often loved by singles. 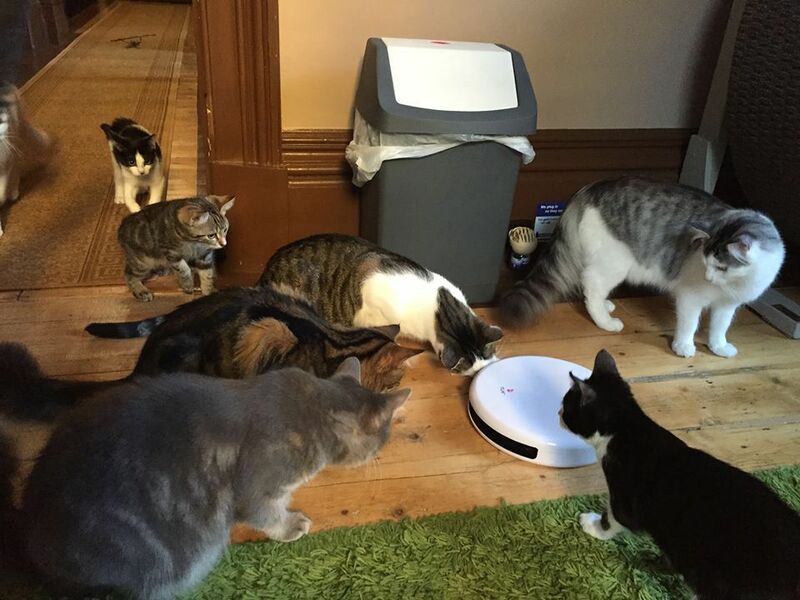 The Cat Cafe is home to eleven cats that wander between several rooms. Guests pay ten dollars per hour to enjoy the company of the aloof creatures, who are more interested in sleeping than in greeting you. The main difference between going to the Cat Cafe and going to a nightclub is that you know in advance that you will not be able to pick up. I am talking about the cats, of course. The Cat Cafe requires you to follow their rules. Patting the cats is welcomed, but picking them up without permission is not allowed. Chocolate cafes are not just for couples. Image: Ganache. Chocolate cafes can be romantic and sensual. They can also be the perfect place to eat your feelings. 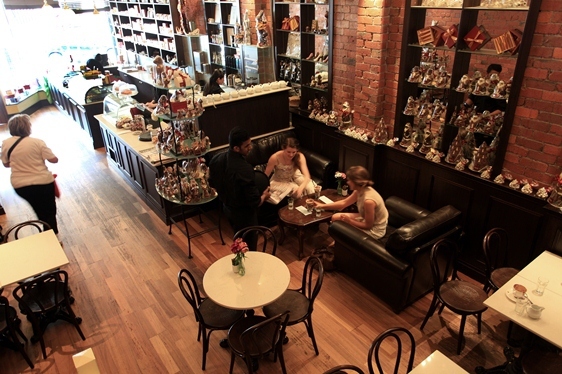 Melbourne abounds with chocolate cafes, such as Lindt, Max Brenner, Ganache and countless others. Your single self will want to avoid tasting platters, which are often designed for two. You want maximum chocolate. It does not even matter if you end up covered in chocolate- it's not like you're trying to impress anyone. A chocolate pizza from Max Brenner or a slice of death by chocolate cake from San Churro will serve you well. The only date you need is yourself. Image: Southgate. The cinema is a classic date spot. Going to catch a movie on your own is bound to earn you looks of pity from couples, although they will quickly forget about you when they put the armrests up so they can snuggle and miss half of the film. Fortunately, the Free Southgate Deckchair Cinema is quite a solitary experience. To begin with, you sit in deckchairs, so it would be quite difficult to cuddle up. 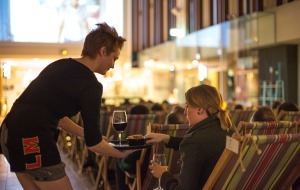 It is also Melbourne's only silent cinema, meaning that the sound is pumped through headphones. Going with someone else would be a waste- which is perfect if you have nobody to bring. Your trip to the library can be exciting or relaxing; alone or social. Image: Wikipedia. You can pass endless hours in the State Library on Swanston Street. The library has a huge collection of books, with particular strength in areas relevant to Australian history and culture. Park yourself in one of the opulent reading rooms as you get lost in a book, possibly to distract you from the terrible loneliness you suffer. 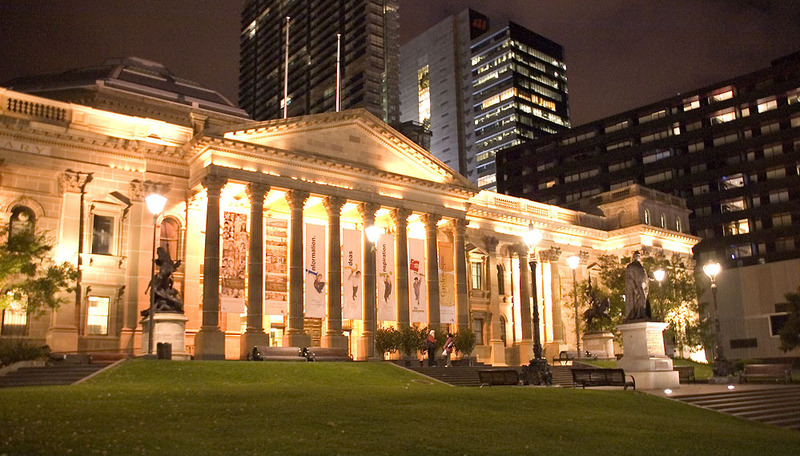 There are also plenty of exhibitions, public talks and other events held at the State Library, in case you decide you want something a little less solitary than reading. You never know, you might find your dream date wandering the aisles. Unfortunately, they may be in the 'Fiction' section. Why? Because you can't binge-watch your favourite TV series all day. Why is being single 'tragic'?? I find it offensive that you think that unless I'm in a relationship with someone I'm somehow less! Why can't you say - 'fabulously single'; 'wonderfully single' or better yet 'consciously single'! Not all of us are pining away while we wait for a knight in shining armour to show up! We can function on our own you know.